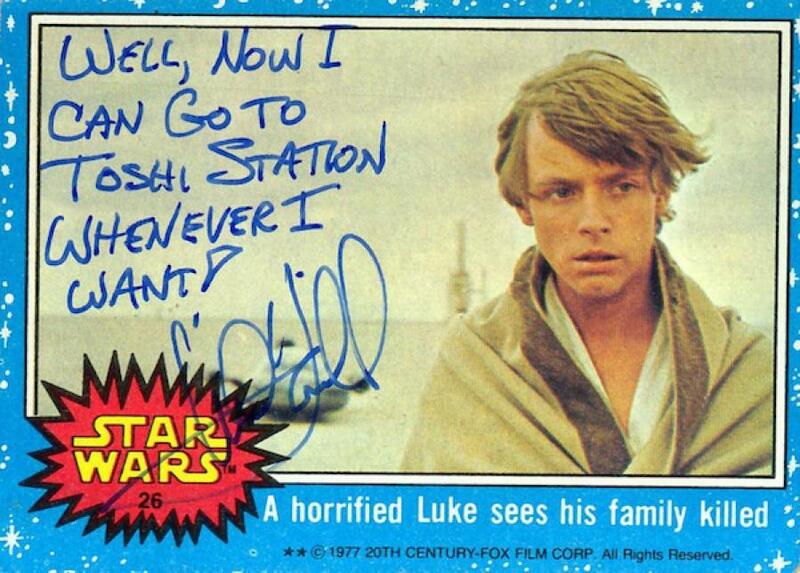 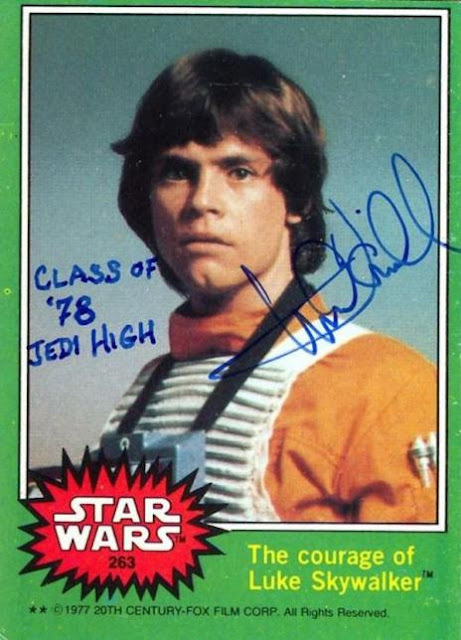 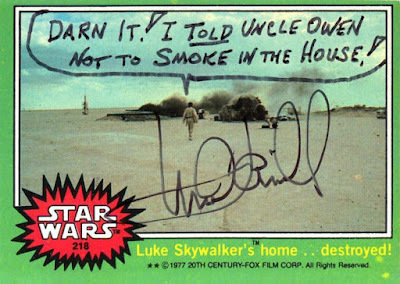 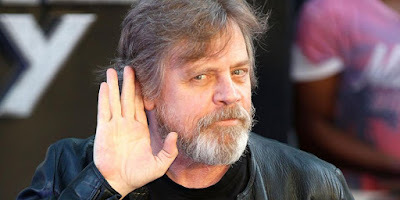 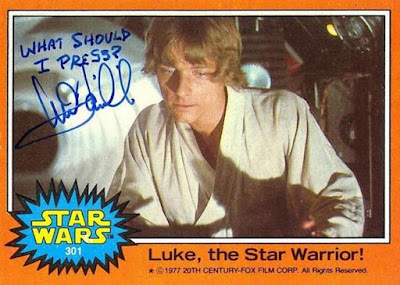 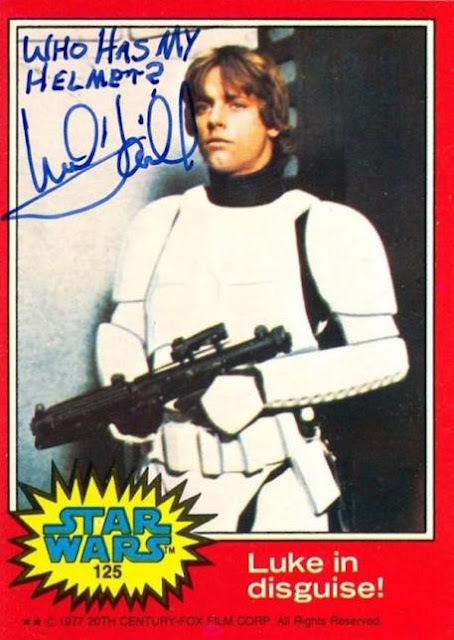 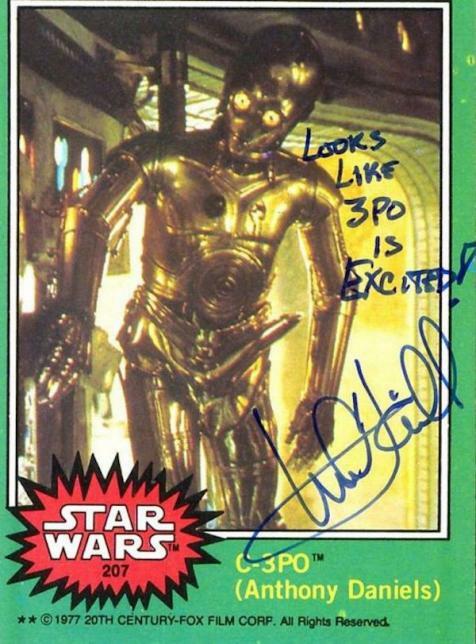 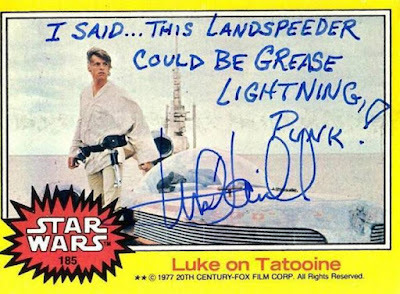 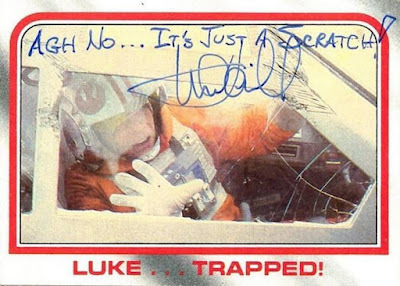 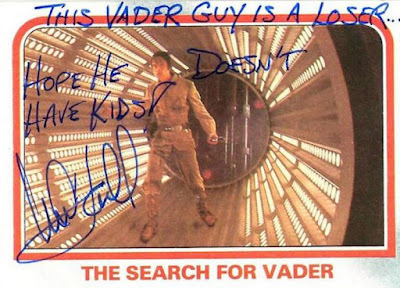 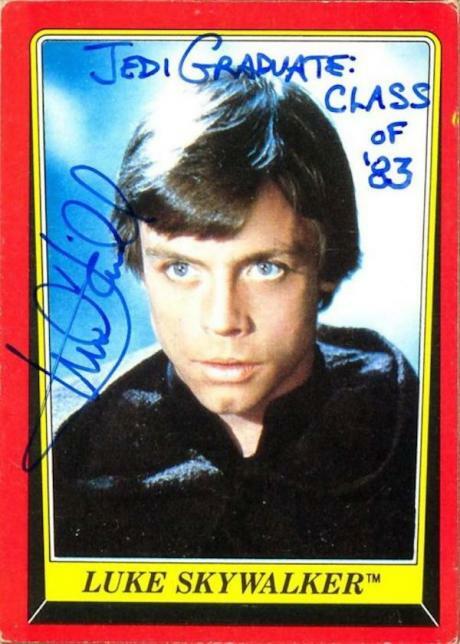 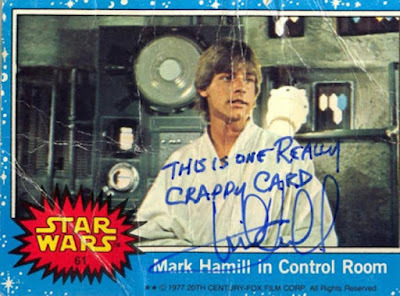 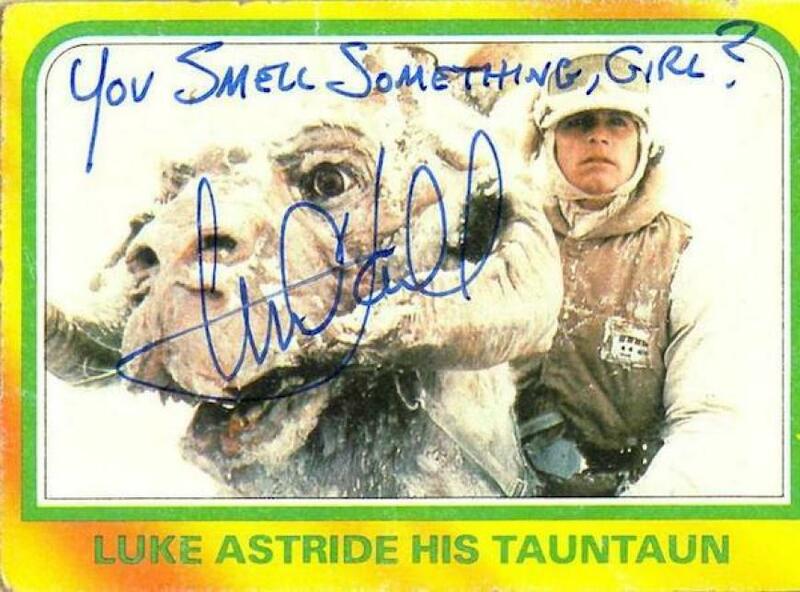 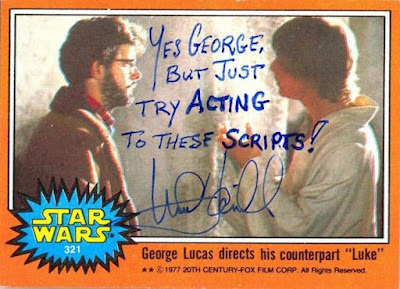 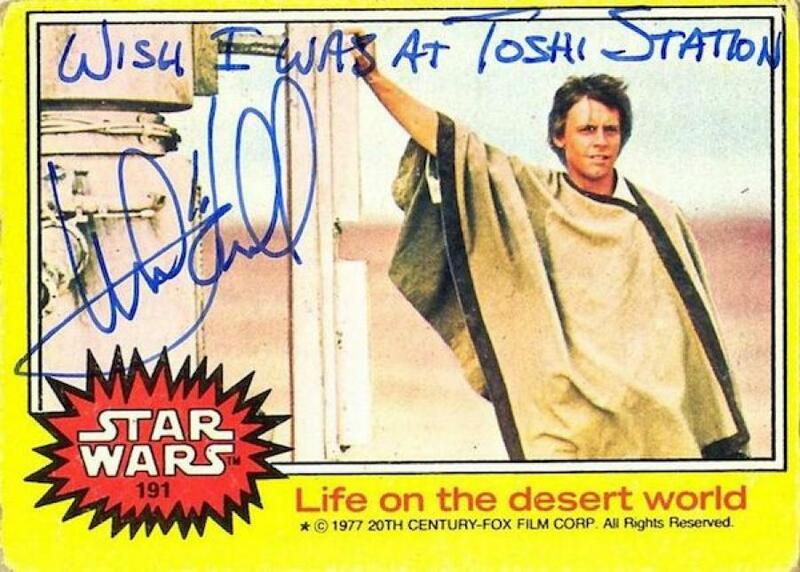 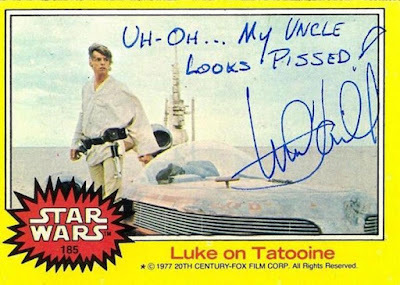 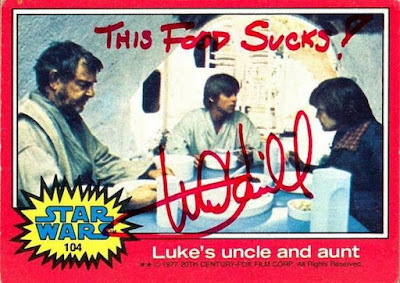 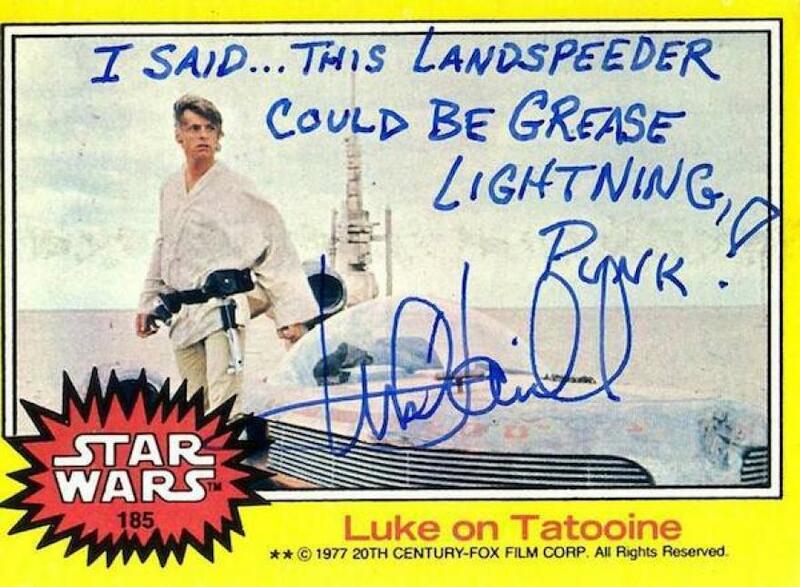 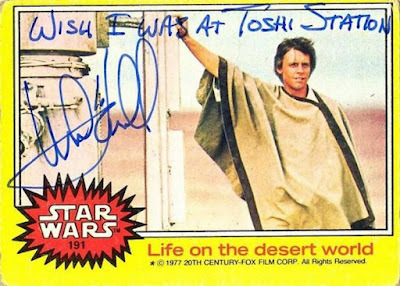 [Source: Geek Tyrant] Apparently Mark Hamill gives fans the best autographs on Star Wars trading cards featuring Luke Skywalker. 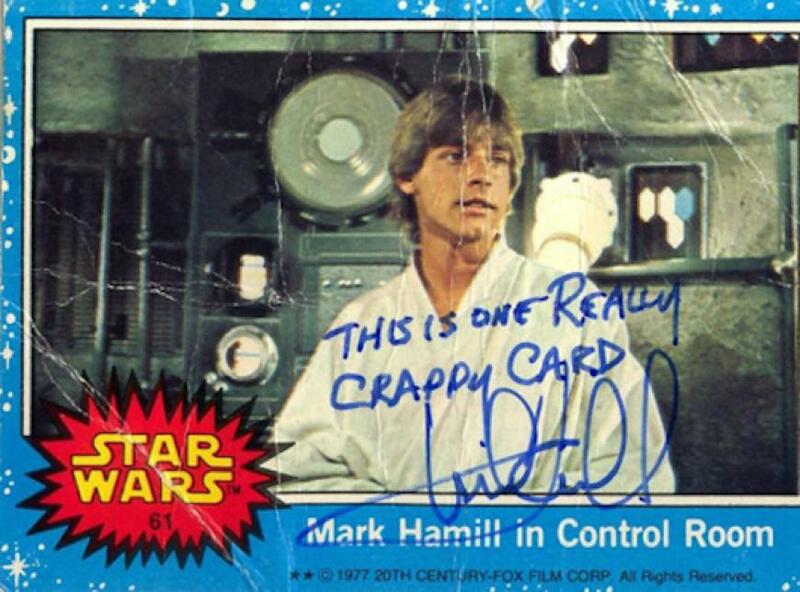 As you'll see in the images below, in addition to his signature, he also includes a fun and snarky remark. 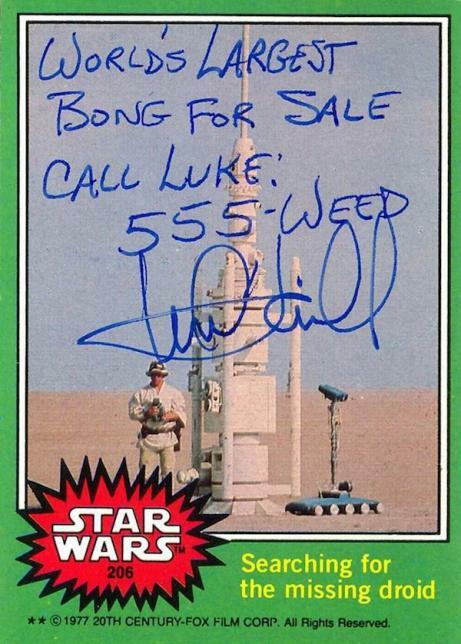 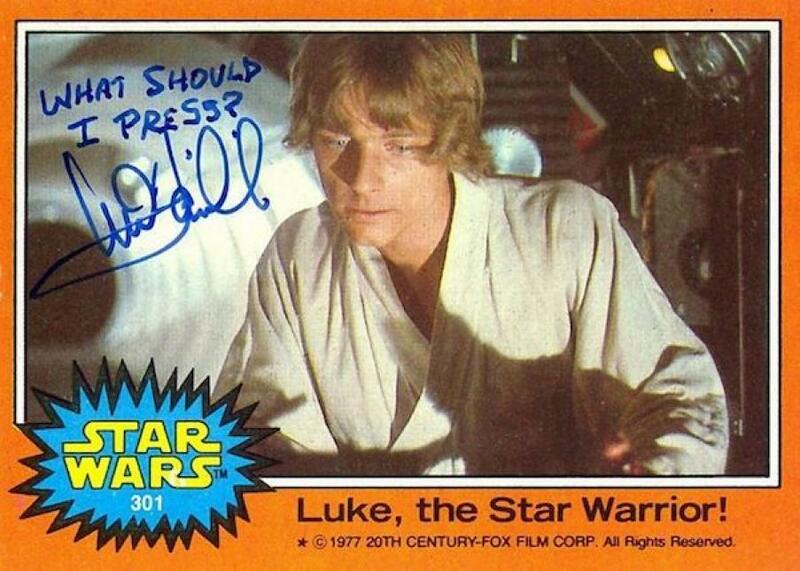 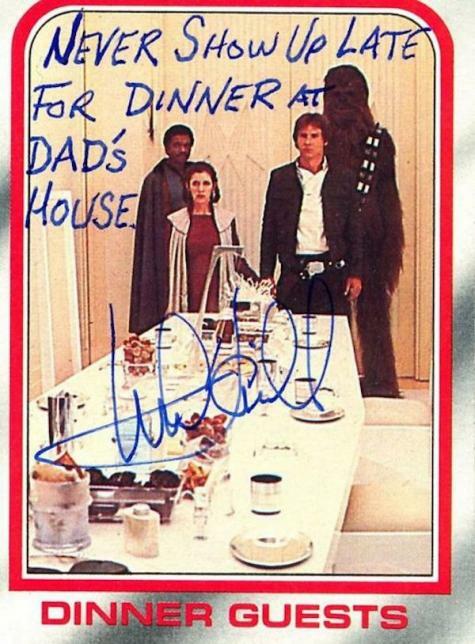 Now I want to get a bunch of old Star Wars trading cards and have him sign them! 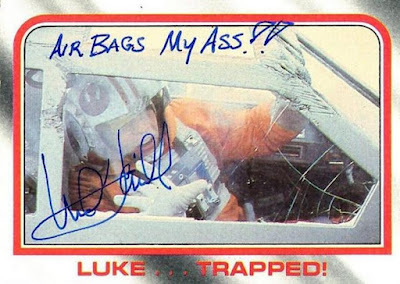 It's always awesome when beloved actors like this with a huge fanbase have a great sense of humor.